What’s one of the most important elements to success when selling your home by owner? Getting buyers to imagine your home as their home. Depersonalizing your home for sale is essential to creating a welcoming atmosphere for potential buyers. Darlene Parris, Owner, Home Stager and Interior Redesigner of Los Angeles-based UPSTAGED!, guides you through the process of helping buyers see the sale through depersonalization. Home staging is all about helping potential buyers visualize your home as their home. Getting professional advice from a home stager as well as decluttering and cleaning your home are crucial first steps in the home-staging process. As you continue to prepare your home for photos and visitors, we will discuss our third home staging tip: depersonalization. What does depersonalization actually mean? In setting the stage to get your home ready for sale, depersonalization is best explained as eliminating your personal tastes or neutralizing the space while still trying to make it feel warm and inviting. Most people fall in love with their home, making them an extension of their style and personality. 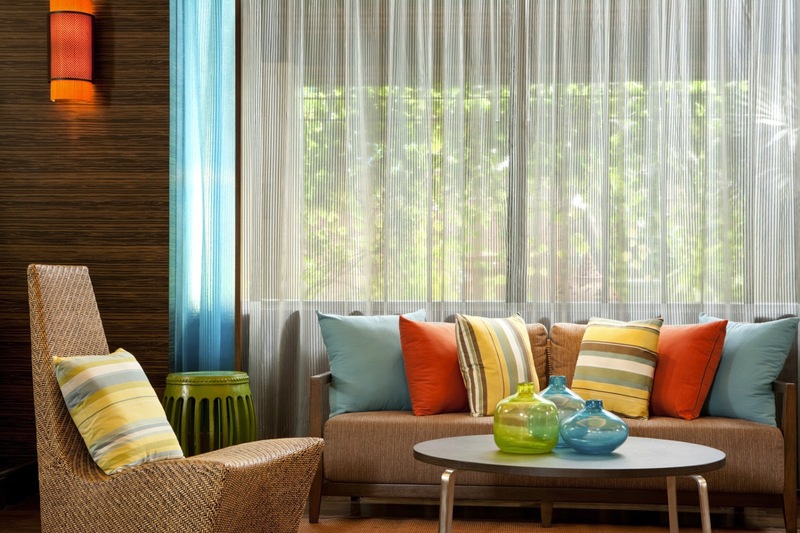 While living in a home, the homeowner often chooses colors, accents and finishes that they enjoy. This can be seen in everything from the red accent wall in the family room to the little statuettes adorning the front lawn. While these choices make the home unique, they make it unique and specific to the owner, which can be distracting to potential buyers. This is the purpose of depersonalization: allowing buyers to picture themselves making their new home out of your home for sale. The process of depersonalization should begin as soon as the homeowner decides to sell. Wall Coverings – If your home has wall treatments such as upholstery, wallpaper or stencils that have not been updated within the last five to seven years, it is advisable that you remove or replace them. Buyers may have a particularly difficult time seeing beyond wallpaper designs and patterns that are decades old and unfashionable. Wall Décor – Putting personal effects like sports memorabilia, autographed musical equipment and family photos into storage is recommended as these items serve as distractions for potential buyers. Clocks, mirrors and pieces of art should be evaluated to determine if they present the proper neutrality for the home. Color Palate – Using a neutral color palate can help you present a “blank canvas” to the buyer. Being aware of the underlying tones for the colors that you choose can help you bring out the character of the room without insinuating your own personality. For example, if you choose a shade of beige with gold or tan undertones, utilize those colors for accents where appropriate. Collections – Neutrality shouldn’t just apply to color palate; it should also be applicable to the subject matter of the collections around your home. Neutral books or magazines about architecture or food may be appropriate for display, but other reading materials should be hidden or even turned inward to hide the spine. Collections of religious artifacts and niche subject matter should be removed. Living Room – This will likely be the first room that your potential buyers see and will act as the front line for your interior presentation. Consider all of the aforementioned tips from removing collections and photos to neutralizing the color palate of your walls and furniture. Bedroom – This is likely the most personal space in your house and you will want to dedicate a significant amount of your consideration to this room. In addition to personal items it will be crucial to consider the overall design of the room. It may be necessary to purchase new bedding to match a neutral paint scheme. Kitchen – The kitchen is typically the most utilitarian room of the house, but there are still a few items that you will want to keep an eye out for. Remove any magnets or artwork from the refrigerator, and consider removing small appliances from your counter tops and place them neatly in your cabinetry. Bathroom – The bathroom is a functional room like the kitchen except for the presence of personal products. Soap, razors, deodorant and more personal items should be hidden away. Consider that a buyer will want to look through the cabinetry and examine the storage capability of the area, so use decorative and matching baskets to store these items neatly away. You can also consult these quick staging suggestions for every room in your home including your kitchen and bathroom. Detaching from the personality of your home can be difficult, but these tips will help guide you through the process of depersonalizing your home and helping your buyers see the sale. This is part 3 of a 5-part series about staging your home as you prepare to host potential buyers at showings and open houses. Learn more about decluttering in Part 2 of our Expert Home Staging Tips.